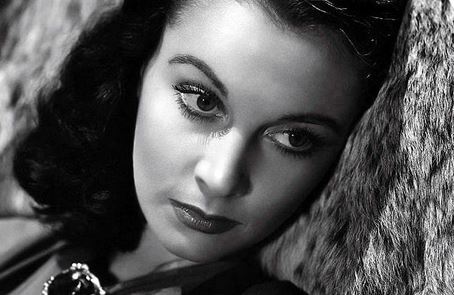 Tomorrow, November 5th, marks the one hundredth anniversary of Vivien Leigh’s birth. And though she appeared in fewer than two dozen films during her career, she remains one of the most memorable actresses to ever grace the screen, largely due to her embodiment of two iconic Southern belles: spiteful survivor Scarlett O’Hara, and the fragile Blanche DuBois. Both roles won her the Academy Award, and they remain two of her most indelible performances. But Leigh was so much more than Hollywood’s seemingly go-to Southern belle prototype. Her career ranged from the stage to the screen, and over the course of more than thirty years, the breathtaking actress built an impressive list of theater and film credits, along with a hard-won reputation as a truly talented artist. Film scholar Kendra Bean’s recent biography of Vivien Leigh, subtitled An Intimate Portrait, takes a fresh look at Leigh’s extraordinary life and career. Featuring hundreds of gorgeous photographs–some never before published–Bean’s examination of the actress is heartfelt and well-researched, relating Leigh’s story from her earliest days in the spotlight, through her complicated marriage to fellow actor Laurence Olivier, to her struggles with mental illness and her unexpectedly early death at the age of fifty-three. In the process, Bean constructs a compelling and thoughtful narrative of Leigh’s life, one that is both sympathetic and unflinchingly forthright in its portrayal of the actress’s triumphs and troubles. Bean, who has maintained the seminal classic film resource site VivandLarry.com since 2007, focuses a great deal of attention on the relationship between Leigh and Olivier. And with good reason: Bean is the first Leigh biographer to delve deep into the Laurence Olivier Archives, uncovering previously unseen primary sources–letters, personal correspondence, and other documents–that shed new light on their marriage. Revealed in many of these letters are Olivier’s admiration for Leigh and her talent, as well his growing heartbreak at the eventual dissolution of their union. In one of the most moving passages in the book, Bean recounts Olivier’s reaction to Leigh’s hospitalization in the wake of a 1953 breakdown, as he wrote to his ex-wife, Jill Esmond, about the “incredible nightmare” involved in transferring a very sick Leigh from Hollywood to London: “As you may have gathered, she set up the strongest resistance, and of course as naturally follows when things go wrong, I was to her her worst enemy. She has suffered terribly and will be very ill for some time. […] No one can see her for a bit so I am taking the time to recharge the batteries against whatever the future may hold …” (p. 165). The inclusion of such previously unexplored sources from the Olivier Archives adds an intriguing layer of depth to Bean’s overall portrait of Vivien Leigh, allowing fans to see the beloved actress from the perspective of the man who undoubtedly knew her best of all. Recently, I have seen other reviews of An Intimate Portrait that have classified it as little more than a “coffee-table book,” one that, by definition, would focus more on the exquisite array of photographs that are included than on the accompanying text. But I feel that this characterization belies the obvious depth of research that Bean has put into producing her illustrated biography of Leigh. I wouldn’t call this a mere coffee-table book, nor would I suggest that Bean’s text is secondary to the photos. Instead, they beautifully complement one another. While An Intimate Portrait is admittedly not as in-depth as past biographies of Vivien Leigh, there is a level of intellectual analysis here that far surpasses the simple “coffee-table” designation, particularly in Bean’s delicate yet honest depiction of Leigh’s illness. 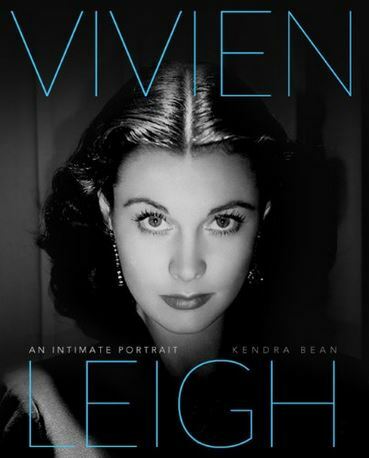 Bottom line: Engagingly written, and demonstrating an innate and careful understanding of the famous actress, Kendra Bean’s Vivien Leigh: An Intimate Portrait is a lovely, immensely readable tome filled with genuine heart and the utmost respect for its brilliant subject. It is a fitting tribute to a woman who, more than forty years after her death, remains a genuine cinematic treasure. Highly recommended. Vivien Leigh: An Intimate Portrait is available for purchase now from booksellers and online retailers including Amazon and Barnes & Noble. For more information on the book, check out Kendra Bean’s author website. You can also follow Kendra on Twitter and Facebook. True Classics is giving away a copy of Vivien Leigh: An Intimate Portrait to one lucky reader! Simply leave a comment below sharing your favorite Vivien Leigh performance, and you’ll be entered in the drawing to win a copy of the book. You can also earn extra entries in the drawing by tweeting a link to this post (limit one tweet entry per day). This contest is only open to residents of the United States and Canada. The contest will end at 11:59PM EST on Friday, November 8th. All comments and tweets must be posted before then in order to count for the drawing. The winner will be contacted by email or Twitter DM on Saturday, November 9th and will have 48 hours to respond with a mailing address for their prize. If the winner does not respond within the designated time period, another name will be drawn. If you have any questions about the contest or your eligibility to enter, please contact us at trueclassicsblog (at) gmail (dot) com. In defense of Scarlett O’Hara. Of course, I would LOVE that book! Sounds amazing. A copy of the book would be interesting indeed—I remember reading a Leigh biography years and years ago, and being so saddened for her when I learned of her emotional and mental distresses. She was such a tremendous talent, yet so abused by inner attackers. My favourite Leigh performance for now remains “Waterloo Bridge”. She’s marvellous, of course, in “Gone With the Wind”, too—she did a magnificent job of showing us Scarlett’s transformation from a careless girl preoccupied with rather silly things to a woman willing to do whatever it took to save Tara, right down to the hardened expression on her face and in her eyes, to one realizing she’s madly in love with the man she has, frankly, abused for years, and is about to lose him. Not many actors today could even come close to that sort of skill. What a great tribute! My movie-going experience has been forever influenced by her performance in “Gone With the Wind.” I was 13 and able to see it in a theater. This launched my delight and passion for classic films! This book sounds fabulous! My favorite Vivien Leigh performance will always be Gone With the Wind. She was the perfect Scarlett O’Hara!! My favorite Vivien Leigh performance is Emma Hamilton in “That Hamilton Woman”. She was, in my opinion, the most beautiful I have ever seen her. She was feisty and fun and her chemistry with co-star Laurence Olivier was off the charts! Sweeping romance, an historical backdrop and a tearjerker, all rolled up into one with one of the world’s greatest actresses! It doesn’t get much better than that! As someone who resides in the south, “Gone with the Wind” is the epitome of our culture. It is a benchmark for how “southern” you are. Consider it blasphemy if you have not seen it by the age of 12! It is a film of survival, love, heartache, and triumph all in one package and in Scarlett O’Hara’s character you found all of those traits. But only through Vivien Leigh’s portrayal could we have seen it come to life in such cinematic beauty, charm, and grace and true talent all in one woman. And I think that’s why this movie still prevails as a classic because we so relate to her in the film and her struggles. We all struggle with spouses, making taxes, family illness- it is a testimony to the film but especially Vivien Leigh’s work that it has stood the test of time as a fan favorite. Vivien was superb in this film and I couldn’t imagine any other person playing that part. She was born for that role! You can’t beat her Scarlett. This book is bound to be amazing! I saw Gone with the Wind in its original showing when I was in the first grade. Some of it was over my head then (I have seen reruns numerous times on TV) but I shall never forget Scarlett in the radish (or was it turnip?) patch saying, “As God is my witness I will never be hungry again.” I did not always approve of her methodology or lifestyle, but I did admire her commitment to that promise. Of course, that movie is my favorite of Vivien Leigh’s performances. Since I won tickets to Lawrence of Arabia, my chances of winning this book are slim to none as “lightening doesn’t strike the same place twice” I have heard it say. At any rate, I’m throwing my hat into the ring for a chance. Her performance in Gone With the Wind as Scarlett is my favorite. Of course, Scarlett is an iconic performance, but I loved her in “Ship of Fools”. So faded, so sad, so elegant, so subtle! Not the easiest film to watch, but she was amazing. Her Blanche was perfection in the co-existence of passion & discipline. She demonstrated that the actor can be like a writer, in that h/she can visualize in human terms the same resonance as a writer, who cobbles sentences together, stitching them into coherency. I also saw her on stage in A DUEL OF ANGELS & she was a champion of that medium as well. Favourite performance has to be in GWTW as Scarlett! But Blanche in Streetcar comes very very close! Great write-up! Ms. Leigh as Blanche DuBois simply kills me! No one could have given as affecting a performance – at once nuanced and powerful. That would be in A STREETCAR NAMED DESIRE. I am so excited to hear about this book as it sounds wonderful. I have always been fascinated by Vivien Leigh. For a favorite role I would have to choose Scarlett O’Hara in Gone with the Wind. Now I can wish to win a copy of the book! It’s so hard to choose because Vivien Leigh made so many fabulous films. But my ALL TIME FAVORITE would have to be ‘Gone With The Wind’ ! It is truly a fantastic film & Viven Leigh did such a amazing performance of a southern belle. This is the film that I ALWAYS will remember her for! I always wanted to be Scarlett when I grew up! Because she was such a wonderful, wonderful actress, choosing one film is ridiculously hard. I think Waterloo Bridge was magnificent, though, along with Streetcar, of course. But Waterloo Bridge will always be my favourite, due to the subtle but very effective acting and this fall from grace her character went through. A great film and a marvelous actress. Fabulous review of this promising volume and spirited comment section! Yes indeed, she played two of the most iconic female characters in all of American literature and managed two of the greatest performances of all-time.